The popularity of the culinary arts isn't just confined to grown-ups. These days, more kids than ever are discovering an interest in food and cooking. If you're looking for reputable organizations that offer culinary classes for kids, here are a couple of great resources. 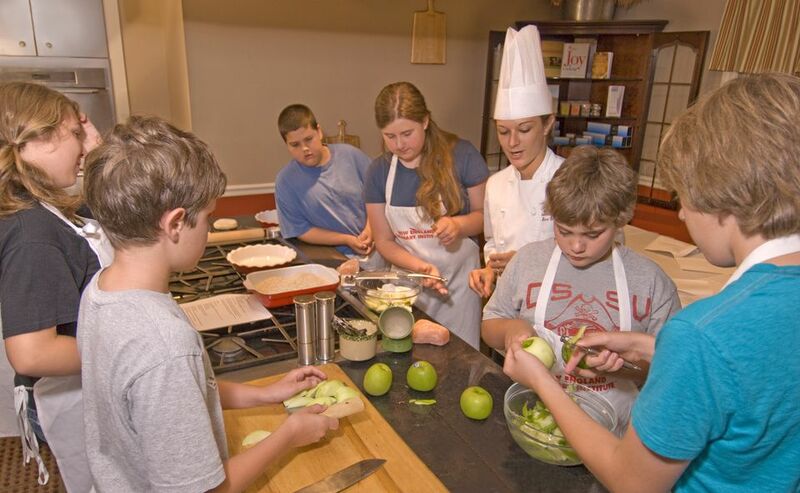 Launched in 2006, the Junior Leagues' Kids In The Kitchen initiative offers cooking lessons and demonstrations featuring local chefs and nutritionists in more than 250 locations throughout the United States, Canada, Mexico, and the United Kingdom. The group operates a website featuring recipes, nutrition and fitness tips, as well as an online nutrition game. With more than 230 chapters and 20,000 members across the United States, the American Culinary Federation is the largest professional chefs' organization in North America. And through its Chef & Child Foundation, founded in 1989, various local chapters offer hands-on cooking classes for kids taught by professional chefs and cooks. Visit the ACF website to locate the nearest local chapter to you, then contact the chapter directly to find out about Chef & Child events near you: American Culinary Federation Local Chapter Listings. PLUS: Interested in pursuing a culinary education yourself? Check out these 5 tips for choosing a great culinary school.